FIFA 17 Career Mode is so interesting and challenging that many players love it. However, many of them become frustrated as they don’t know how to manage players properly, which is important. For example, you need to train, promote and loan players at at the right time. 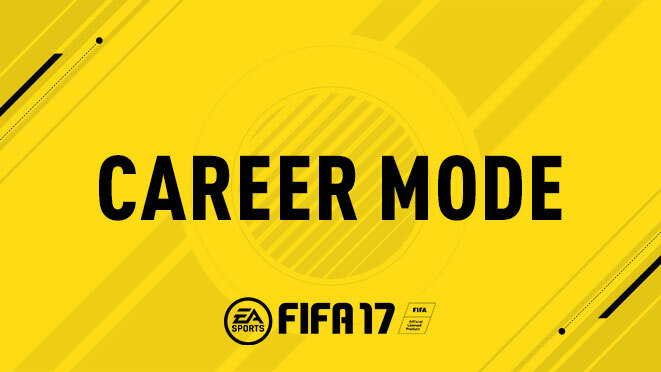 Here we introduce you top 10 tips we summarized for FIFA 17 Career Mode to help you manage your players. 1. Always train a youth academy goal keeper even if you find one with poor potential since it’s an incredibly easy way to make money. 2. In regards to the question about youth academy objectives, if you have a growth objective the player must grow in the youth academy before being promoted (e.g Grow 2 youth academy players by 10 points and play them in 5 or 10 matches.). 3. Never train a player younger than 18 and over 60 rated regardless of potential, because they will still grow physically just later in there careers. 5. If you have a great talent who is 17 but under 60, keep them in the youth academy and train them as not only does the youth academy not have a growth cap for players it also allows you to change there potential. 7. The loan glitch works as follows: Let’s say you have John Smith and John has 75 potential and is 60 rated or higher. If you short loan him and recall him he will only go up a maximum of 3 potential ratings, you will need to potentially loan glitch him 5 times to get Has potential to be special (there also is no time limit on when you recall them anymore you can do it on the same day or months later and it will still work.). 8. The easiest money you will ever make is from training free agents goal keepers and youth goal keepers as potential really doesn’t matter with them. It is possible to train them to 80 within a season and make a huge profit. 9. If you find yourself bored of career modes sim the first season, you won’t get sacked and your players will grow dramatically well naturally as well as populating the regens, pregens and free agents. I sometimes sim 2 seasons for added affect. 10. Try a youth only career mode because they’re incredibly rewarding and addictive. I’ve done plenty with teams like Limerick in League 2 and even my toughest one where I took Galway United to the premier league, calendar glitches to populate my scout reports and sold all my real players within a season. Using the goalkeeper trick I was able to make £40m in one window selling keepers. 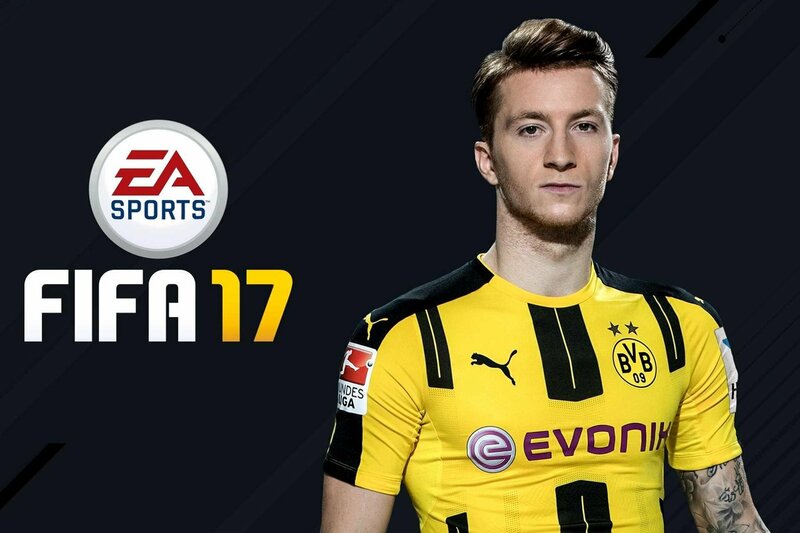 I hope these tips can help you a lot to lift your performance in FIFA 17 Career Mode. If you have any idea to add please don’t hesitate to leave your comment to share with us. Enjoy the game. EA released FIFA 17 Ultimate Team Team of the Week (TOTW) 50 on its official website on 30th August. Let’s take a look and find whether there is a player you like. Robert Lewandowski carried FC Bayern to a 2-0 victory with a brace against Werder Bremen. Mohamed Salah contributed with a goal and an assist in Liverpool’s authoritative 4-0 win over Arsenal. Marquinhos was a defensive rock for Paris Saint-Germain as the Parisian squad earned a 3-0 win over St-Étienne. Are you satisfied with the lists? Recently EA released a news about wonderful stadiums in FIFA 18. There are over 75 stadiums in FIFA 18 which launched on PlayStation 4, Xbox One and PC worldwide on September 29. EA emphasized that FIFA 18 adds four new licensed stadiums to the list of grounds in FIFA 18: ATLÉTICO MADRID’s Wanda Metropolitano, LA GALAXY’s STUBHUB CENTER , BRIGHTON AND HOVE ALBION’s THE AMEX STADIUM and HUDDERSFIELD TOWN’s KIRKLEES STADIUM. They are brilliant, at least from the pictures EA posted. However, many of you may not notice that FIFA 18 Exclude Four Iconic Stadiums in FIFA 17. Which are they? Valencia’s iconic home ground will not be around in FIFA 18 as only two stadiums from Spain, Real Madrid’s Santiago Bernabeu and Atletico Madrid’s new Wanda Metropolitano, will feature in the game. 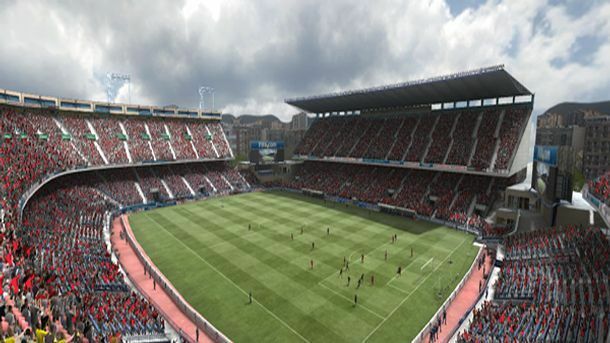 Mestalla has been a FIFA ever-present ever since stadium graphics became more and more real around the mid-2000s, and its absence in FIFA 18 will be keenly felt. Its low, close structure is a special attraction for FIFA players, while playing international matches with Spain at Mestalla is always a mouth-watering prospect. All of that, however, will take a back seat this year as FIFA 18 will no longer have the iconic 55,000-capacity in its roster of stadiums. Tottenham Hotspur have been forced to play their home matches this season at England’s national stadium Wembley, and that is because of the fact that they are rebuilding their erstwhile home ground White Hart Lane. The Lane is one of the most iconic Premier League grounds, aong Anfield, Old Trafford, Stamford Bridge and Goodison Park, to not miss a single Premier League season until this year. It will be sorely missed in FIFA 18, as in real life. 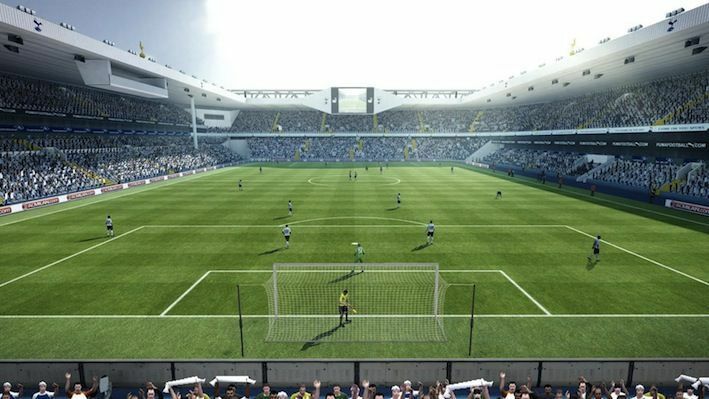 However, unlike the next stadium on this list, White Hart Lane will soon be making its FIFA comeback. Atletico Madrid have, this season, moved to their state-of-the-art 68,000-capacity Wanda Metropolitano Stadium from the legendary confines of the Vicente Calderon. The now-decrepit old home of Atletico had a quirky structure that created a noisy atmosphere and FIFA captured it to perfection in its previous editions. 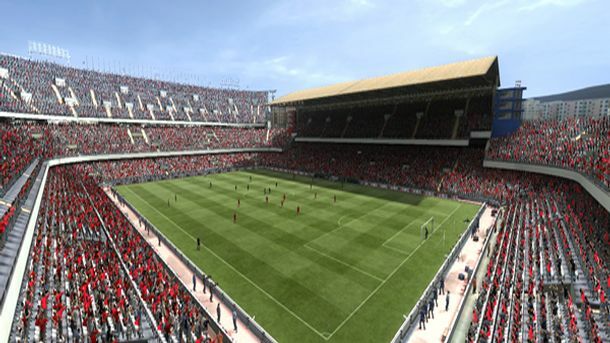 However, the cauldron of Vicente Calderon will no longer be part of FIFA, much like in real life. As Atletico try to move on from their old fortress, FIFA fans will also have to adapt to life without the Calderon, which, unlike White Hart Lane, will never return. 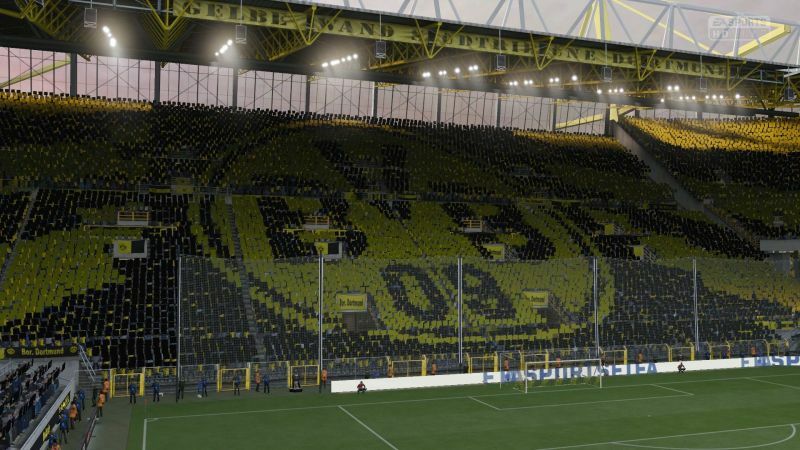 For fans of the famous Yellow Wall in the Südtribüne of Borussia Dortmund’s Signal Iduna Park, FIFA 18 will be a major disappointment. The Westfalenstadion club penned a four-year deal with PES last year and hence, their iconic home ground will not be represented in its full glory in FIFA 18. The Signal Iduna Park is an intimidating ground for BVB’s opponents in real life, and its status as one of the most difficult ground to play at was well represented in previous editions of FIFA; die Schwarzgelben always score goals at the ground. Like the other three stadiums, the Westfalenstadion will also be much missed in FIFA 18. Are you satisfied with the adjustment of stadiums? Is there a stadium you like in the above four stadiums? You can write down your comment. EA released FUT TOTW 49. Let us take a look. Paul Pogba put up a dominant performance in midfield and contributed with a goal in the high-flying Manchester United’s 4-0 win over Swansea City. Mauro Icardi scored a decisive brace in 15 minutes as Inter downed Fiorentina 3-0. CM: Conor Hourihane – Aston Villa (England) – R.O.I. ST: Kurtis Byrne – St. Patrick’s Athletic (R.O.I.) – R.O.I. Is there players you like most? Joining a league is a good choice in FIFA Mobile. By joining a league, you can playing, communicating and sharing information and tips with other players, which will bring you many benefits. As a member of a league, you can unlock four special players, which you can only get as a part of a league. Some leagues have a chat of some sort outside of the in game chat, so you may be added to this. It can be very helpful to organize things and share tips with fellow members, as the in game chat is pretty bad. Here is some guides for you if you are planing to join a league. You do not need to be a member of a league to play the game, but it definitely boosts your experience of the game and makes it far more enjoyable. First, to join a League, you must first Apply. Tap the Apply button on the League tile to start the process. Once you do, the League Owner will receive your Application. You’ll receive a message if you have been accepted. You can also find a league by posting on a site such as the FUT Mobile Reddit or Futhead. There are always posts on both sites looking for new members to join a league, so you should have an easy way in that way. Many existing leagues set minimum requirements for goal scoring and team overall, so don’t be surprised if you don’t get accepted into a league straight away. In addition, The admins of a league have the ability to accept people into a league, but they also have the power to kick/remove people. This happens without you being notified, so if you go on and are out of a league then this has sadly happened to you. You’re able to create a League once you have reached Level 5 but this cost 5000 coins. To do so, tap the create League button. You can set everything from your League’s icon to the difficulty of intra-League play. You can edit all settings through your League settings. You also should know some things after joining a league. If a League member becomes abusive, you can report them by tapping on the offensive message REPORT ABUSE inside the Chat Window and selecting report. You can also report offensive League descriptions by tapping the report button on the CANCEL SEND back of the League title. Whenever a League member purchases FIFA Points the whole League benefits. By purchasing Points while being a member of a League, the other League members will receive a gift. Gift values range with the amount of FIFA Points purchased. You can also earn a Badge for being a contributor to your League. You and other League members will be able to Chat with each other in real time. Tap text box to start typing. You can also mute League members by tapping on their messages and selecting mute. To unmute a member, go to your League settings and unmute them (Gear Button). FIFA Mobile League Leaderboards Leader Boards. View your League Leaderboard provides a nice way to view who is best within different areas. You can sort the Leaderboard by Leaders (Attack Mode play), Most Fans, Highest Player Level and Team OVR. You can challenge any League members to a match by tapping on them and selecting play. You’ll be able to review previous turns and track your record against them. These matches do not determine your internal League Leaderboard placement. League Championships will determine League Ranking. FIFA 17 is almost one of the most popular sport games in the world. Please pay attention the word “almost” because there are still some flaws and in the game, some of them are terrible, cheaters, for instance. Many of players should have faced the problem caused by cheater on PC who often use cheats to increase their possibility of win and, they made you annoyed and frustrated but they always escaped being punished. This is horrible for the honest players. In fact, FIFA series could be just wonderful if it was not for the huge numbers of cheaters in Seasons and FUT (PC version). Many players have reported the issue to EA but it seems that few of them got positive reply. The issue hasn’t been tackled and there still many cheaters. Many players wonder if EA will develop some better security to stop the cheating programs. They think every year EA lied that the cheaters will be gone from FIFA PC but every time they are still there! Players wish to know if EA will implement something to stop this. As far as i am concerned, EA can fix it once and for all if they are really willing to do so. EA Sports simply haven’t bothered to do this for FIFA. They have completely neglected it. I know this because Alt+F4 quit cheat existed from FIFA 05-11 PC. It took 6 years for EA to fix Alt+F4 in FIFA 12 PC. There are cheaters on PC in the leaderboard. A few people have like over 1000 wins and only 40-60 losses. EA have done nothing to ban these cheaters and remove them from the leaderboards even after reporting them through the Origin client. It’s funny how these forums here are so strict when it comes to forum rules, but when it comes to cheating in their FIFA games there is no moderator for the FIFA online servers. .Just a few days I played the number 1 cheater in FIFA 17 PC. His name starts with M ends with a 7. I’m not gonna say his full name because it will be naming and shaming. But he tried to cheat on me. Miraculously though I got the win. He has 1200+ wins and only 50 losses. I was West Ham United and he was Leicester City. As soon as I scored quick fire doubles to lead 2-1. Shortly after that there was an “online sync in error”. Luckily this time I got a 3-0 win. But in most of the other case scenarios I wouldn’t have a win recorded. If the cheater attempts to quit using online sync in error and the game was for example in a 0-0 state then you get loss. I think adding the Punkbuster is a valid solution. All games with Punkbuster usually get rid of cheaters/hackers. The Punkbuster program runs in the background it detects trainers, cheat programs, etc. If you try to enter a multiplayer Punkbuster enabled server without the Punkbuster client the game kicks you off the server until you get Punkbuster up and running again. And even if the cheater somehow manages to trick Punkbusters system they will update the Punkbuster version for that given game so that particular new cheat no longer works. These precautionary measures can be done. I cannot understand why EA has not considered this, maybe the cost issue. However, EA is making an enormous amount of money on this game, how about taking a tiny bit of that amount and to address the issue once and for all? 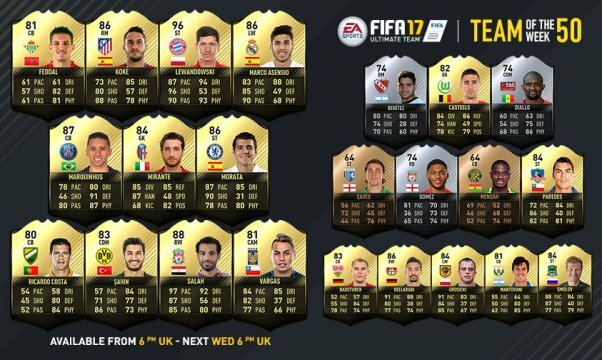 EA released FIFA 17 Team of This Week(TOTW) 48 on Wednesday. 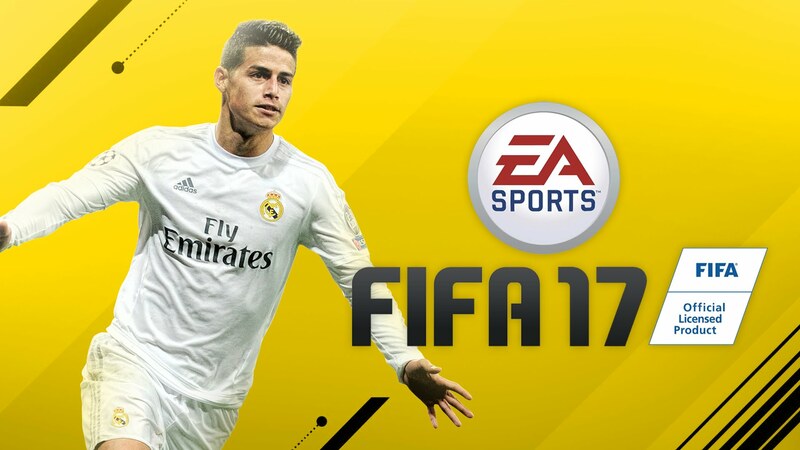 FIFA 17 is a very popular game which has attracted a great number of gamers since its releasing on September 27, 2016. It is praised for a brand-new game engine, a unique journey, new physical interactions and so on. However, there are also some problems in this game reported by gamers. It’s since the start of FIFA 17 Ultimate Team that I see lot’s of problems. Below, I would like to talk about the problems upsetting me most. As a gamer who has been playing the game nearly a year, I always feel that there is some magical game mechanic that influences and even controls your team or the opponent at some times. I don’t know if there is a bug or similar but here’s what I see many times. 2. Same as the 1, but after a goal, sometimes I can’t even stop the attackers. His every move is perfect but my defenders stay still and shots are too much accurate. 3. The connection most of the time is a little bit laggy although I’ve a good connection with a good internet provider. The problem is that the main server for the FUT Champions is just in the USA and it’s a “little bit” too far from where some gamers play. 4. There are some games that I try every possible shot and most of the time it’s magically blocked by the keeper or I hit the post. On the contrary, my opponent score a easy goal with just 1 shot(from very difficult position, not just a simple 1v1 with the gk). I know it’s possible in the real life but I feel like it happens too many time. It’s ok if it happens one time every 20-30 games. However, it happens every 2-3 matches. 5. Driven pass are way to useless. Most of the time the game chose the wrong player for the pass and most of the time it changes the direction and the speed. It’s not possible to give just “assisted” or “manual”. The first is completly useless and the second you need to be very clinical to use it and in fact no one use it. 6. Normal pass is changed by the game at least the 30% of the time. It’s okay to help a little bit the direction, but if I want to pass the ball forward it is not acceptable that the player pass it behind. 7. Most of the time I feel like the winner of a match is not the stronger, but the luckier. There are some games that I should lose and then I win for some crazy impossible shots and some times when I should win but at the end I lose for an incredible luck of the opponent. As if it is the game that chose the winner. It’s okay to help a little but just a little and not giving a magic win for nothing. I’m not saying it’s momentum or scripting but I’m not the only one who came across this kind of problems so there should be something wrong with the game. What do you think? Do you have the same experiences as me? EA released the fastest players, best dribblers and best defenders in FIFA 17 in its offcial website recently. To build and manage a great team in the game for a better performance, you need to know some basic information about these players we show below then thinking about which players you want to add to your current team. Dribbling plays an important role in FIFA 17. The best dribblers can do almost anything with a ball – so try to get at least one of these on your team. A good dribbler can make magic happen or find an opening that didn’t seem there. Here are the best dribblers in FIFA 17. Denfense is also dispensable. We’ve also rounded up the best defenders in FIFA 17, so you can build a wall that won’t be broken down.